People of Sydney, prepare! This weekend, Sydney Opera House is opening its colossal doors and welcoming in a stellar line-up of international graphic artists. 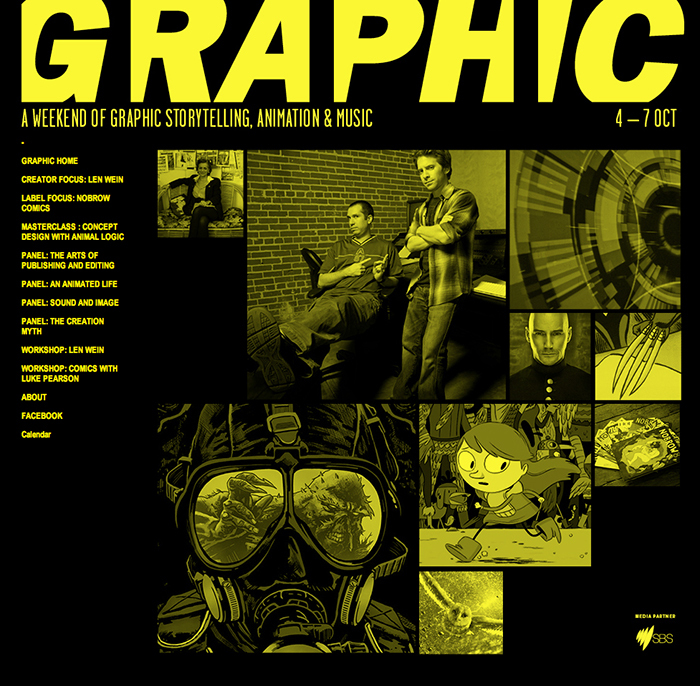 GRAPHIC is jam-packed with delectable delights from the world of graphic storytelling and animation. From the 4th to 7th of October you can see and take part in a whole host of events: from the Australian premiere of Art Spiegelman’s Wordless and panel discussions with the likes of Len Wei to performances from the breathtaking Cinematic Orchestra. And, of course, Nobrow will be there and boy do we have some treats to offer! Saturday 5th of October, 9.45am – Workshop: Comics with Luke Pearson. Award-winning artist Luke Pearson will be holding an intimate 2 hour, round-circle workshop revealing his inspirations and method in creating the critically acclaimed Hildafolk series. This is a your chance to pick his brains as he shares the secrets of his work. Saturday 5th October, 5.30pm – The Arts of Publishing and Editing. Our very own Sam Arthur, Managing Director and co-founder of Nobrow, will be chairing a panel discussion with Francois Mouly, Luke Pearson, Len Wei and Blood & Thunder’s Leigh Rigozzi. A unique gathering of some of the most exciting voices in graphic arts publishing, it’s one not to miss! Sunday 6 October, 3:30pm – Label Focus: Nobrow Press. How do we create our books? How does an idea become a reality? Sam Arthur, will be revealing how we publish our books: from the spark of an idea through to the book in your hands. The event is free but make sure you get there early to guarantee a place. Sunday 6 October, 5.30pm – An Animated Life: Panel Discussion. From Robot Chicken to a festival of GIFs, An Animated Life delves straight into the all-consuming, non-stop(motion?) world of animation and its animators. Graphic is bringing together the great Chris Mackay, Stoopid Buddy Stoodios, Mark Simpson and Luke Pearson (who recently finished story-boarding for cult classic show Adventure Time). Together, this dynamic bunch will take you through their animated lives in a celebration of the best of contemporary animation. Check back next week for a post festival round-up. And for those who make it, let us know what you thought via twitter and FB (pictures, comments, anything welcome)!